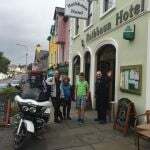 In the centre of Lisdoonvarna and the perfect destination for discovering the distinctive Burren Region on the Wild Atlantic Way. County Clare has dramatic coastal scenery, the Cliffs of Moher, Caves, golf courses, as well as beaches for both surfing and relaxing. A day trip to the Aran Islands, which are accessible by ferry, is just ten minutes from the hotel. John, Lynn and staff are happy to help you plan your day trips to enhance your holiday. Free Wi-Fi. Motorcycle Washing facilities, safe and secure parking at the rear of the hotel..
An elegant residence in the heart of Ballsbridge, just outside Dublin City Centre, close to many of the world's embassies, a short walk from the business quarter and to the beach. 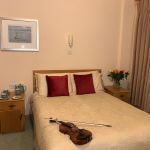 A beautiful and recently refurbished B&B, a fine example of Dublins Edwardian architecture and contains many original features as well as fine antiques and furnishings. 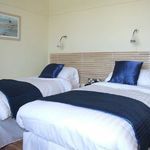 A choice of en-suite rooms (twin, double and single) for room only or with a full Irish Breakfast served… In fact it comes highly rated from previous guests. The host, Leslie and her staff pride themselves on offering guests a warm welcome and genuine hospitality throughout your stay. Ballsbridge (Droichead na Dothra in Irish) is a suburb of Dublin, Ireland, named for the bridge spanning the River Dodder on the south side of the city. The vibrant city of Dublin, has a wealth of activities and events, concert venues (O2 and the RDS), restaurants, pubs, shopping, nightlife, history and culture. If you fancy a day (or night) off the bike, you can easily take the bus into the city, which runs throughout the day. A short ride to the seaside town and port of Dun Laoghaire, ideal for touring the East of Ireland and Wicklow Mountains National Park. A previous guest said “Great B&B, room was a decent size. Ideally located in Dublin and at a great price. Really friendly staff served up a fantastic breakfast. Can't recommend this place highly enough”. A Certificate of Excellence on tripadvisor and recommended in Le Guide du Routard. Free Wi-Fi. Private secure parking. 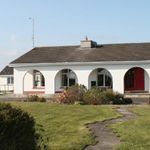 A modern contemporary B&B just 6 kms from Rosslare harbour. Set in 1 ½ acres of landscaped gardens encompassing an oasis of peace and calm in the beautiful Wexford countryside, where the ambience is warm and friendly and the finer touches make all the difference to your stay! Specialising in good food and provide scrumptious evening meals, as well as home made sausages for breakfast. En-suite modern rooms with comfortable beds, fresh white linen, freshly brewed coffee and tea making facilities (with homemade cookies) and iPod Docking station. 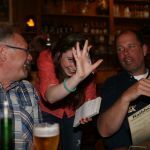 The Irish heritage park, many other tourist attractions and some of the best beaches in Ireland are close by and owner Chris will happily advise fellow Bikers on routes or just talk motorbikes all night (and day). On those balmy summer evenings you can sit out under the Mediterranean style Arches, enjoy the clean fresh air... BYO drink and enjoy the tranquillity of this home from home. A previous guest said "Excellent hosts and great food". Free Wi-Fi. Motorcycle washing facilities, garaged and private parking.